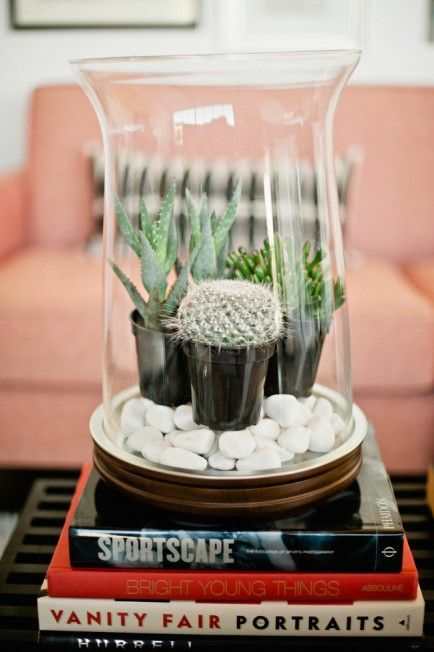 I chanced upon this simple terrarium when I'm searching for some garden ideas online and I thought of sharing this here as I really find it very cute, elegant and simple to do. This could also be a nice gift idea this coming holiday season especially if you have friends who are into gardening. You know, just to get away with the usual routine of getting store brought items. I think, this could also be a good addition to your dining table, center table in the living room or even at your bed side table. When given as a gift, I think your family or friend would love the idea that it is unique and hand made. It will make the gift more memorable, isn't it? WOW! it is so very pretty.. i want one for myself, lol!